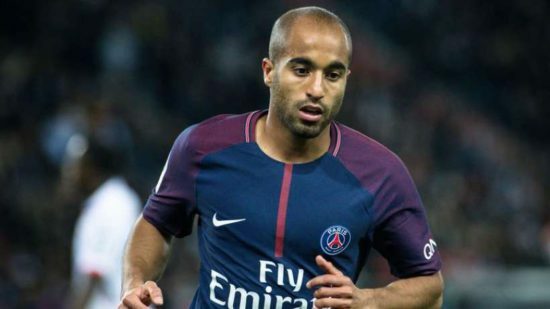 Manchester United target, Lucas Moura has all but confirmed a move to the Premier League as he has stated that he doesn’t see himself staying in Paris till the end of the season. The player has been courted by the Red Devils to offer width in the attack and has been the subject of a reported loan move to Old Trafford though his club went a permanent £35 million move. United want a loan move with the option to buy at the end of the season but his club want a permanent move in a bid not to fall foul of UEFA’s Financial Fair Play regulations. The arrival of Neymar and Mbappe had pushed him down the pecking order, totalling just 79 minutes and is looking to move in a bid to make Brazil’s squad for the 2018 World Cup. Under Sir Alex Ferguson, United tried to sign him but he ultimately moved to Paris. Speaking recently, he said, I do not think I’m going to stay,” “Unfortunately, it’s the end for me in Paris. I like the English championship. “The English league is the most hotly contested in the world, it’s going to depend (on several factors).” he added. The news around United in the last few weeks has been the fact that we are closing in on a deal to sign Arsenal’s Alexis Sanchez, leading to questions whether we would follow up on a move for Moura. Chelsea and Liverpool have also been linked to the signing of the 25-year-old speedstar. He is a right attacking midfielder known for his pace, dribbling and creativity. Lucas has made over 200 appearances for Les-Bleus-et-Rouge since 2013, scoring close to 50 goals and winning a raft of trophies in that time.